You can buy products directly from my website at retail prices. Come back any time to continue adding to your collection. This is not a membership option - you pay 25% more than wholesale and do not receive any member benefits. Before you chose this option...I suggest you check out the wholesale benefits. 5. Complete the About You page. Wellness Advocate – all the same benefits as a Wholesale Customer but you can earn money if you want. I suggest people chose this option because there is no obligation to do anything if you don't want. But...when your friends start learning about your oils...you are ready. It's really easy to have them join with you so you get commission. There are no purchase requirements unless you want to earn commission. When you are ready to start earning money, you'll need to spend approximately $100 a month on product. Once you start swapping out your old toxic household products with doTERRA - $100 is easily spent. Spend it here - or spend it somewhere else. Might as well keep it natural. 7. The Referral Information should show my picture already but if not, my ID is 321206. Hit Continue and follow the instructions for selecting your kit and adding additional products. Remember, the $35 enrollment fee is waived when you order a kit. 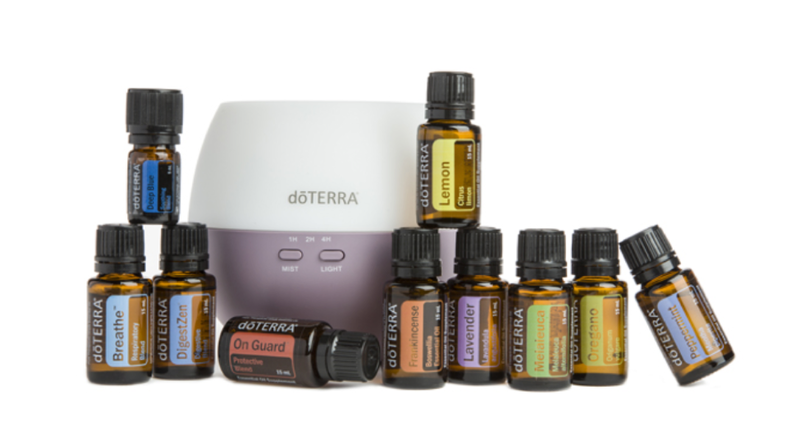 Enrollment kits are a great way to get started with doTERRA because they include the most popular oils and products at a greater discount. You can add more products on the line below your kit. Fractionated Coconut is a good addition if it's not included in your kit. Or - add the Introductory Packet ($35 enrollment fee) to your cart. Consider adding the Petal Diffuser and Fractionated Coconut oil. You can change the shipping method and click on View Totals to see how it affects your total. You will have an opportunity to create a monthly order or Loyalty Rewards Program order. Read b elow to learn about the benefits. One of the benefits of membership is a program called Loyalty Rewards Program. Watch this short video that explains the Loyalty Reward Program (LRP) and this video for step by step instructions on how to create one. This is the best way to save money on your products. You can get free products! ADDITIONAL BENEFITS: Enroll with a Diamond Kit (2000 PV) and place a 100 PV Loyalty Rewards order the following month* and receive 400 loyalty points and start loyalty point accrual at 25 percent. See below for more information about Loyalty Rewards (credit for free product). The Diamond Kit has all the tools you need to switch out your household product to non toxic options. 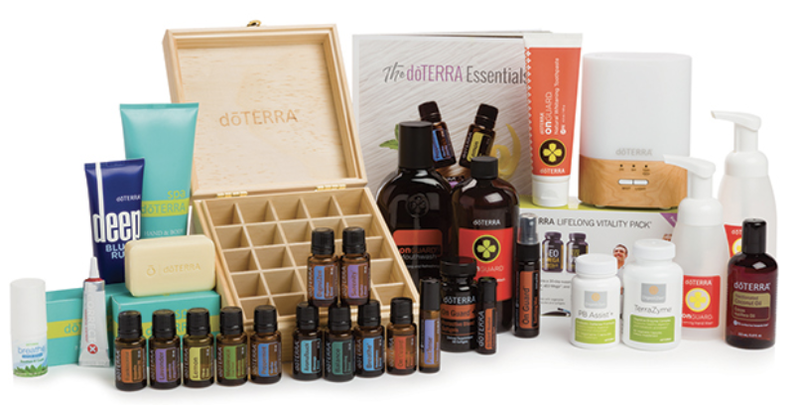 There is a bit of everything in this kit: personal care, weight management, supplements, every oil, spa products and more. This is an awesome business investment if you are ready to become a sales advocate for doTERRA. You'll have enough to start using the products yourself and share with potential customers. ADDITIONAL BENEFITS: Enroll with an Every Oil Kit (1425 PV) and place a 100 PV Loyalty Rewards order the following month* and receive 200 loyalty points, and start loyalty point accrual at 20 percent. See below for more information about Loyalty Rewards (credit for free product). The Every Oil kit is for someone who wants to jump start their oil experience and be ready for every need. If you are considering earning an income with doTERRA and plan to share oils than this is the kit for you. The diffuser runs for up to eight hours and and the case holds every oil. ADDITIONAL BENEFITS: Enroll with a Natural Solutions Kit (400 PV) and place a 100 PV Loyalty Rewards order the following month* and receive 100 loyalty points and start loyalty point accrual at 15 percent. See below for more information about Loyalty Rewards (credit for free product). The Natural Solutions kit is a very popular starter kit because it gives you all the products you need to make a shift in your health and wellness. You'll get On Guard product to help support a healthy immune system. The kit includes the tope 13 oils that address emotional support, promote focus and relaxation, support healthy joints and muscles, and a restful night sleep. Some of my favorite products are the shampoo, conditioner and the Deep Blue rub. You'll also get Lifelong Vitality Supplements which are the foundation to good health. The wooden box is perfect to store your oils. 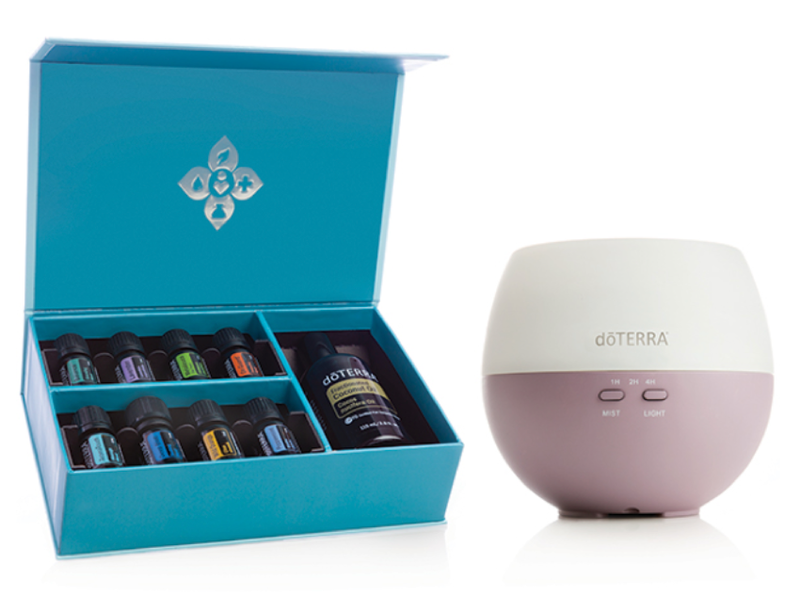 This is a great introductory kit that contains 15mL bottles of the most popular ten oils and a diffuser. 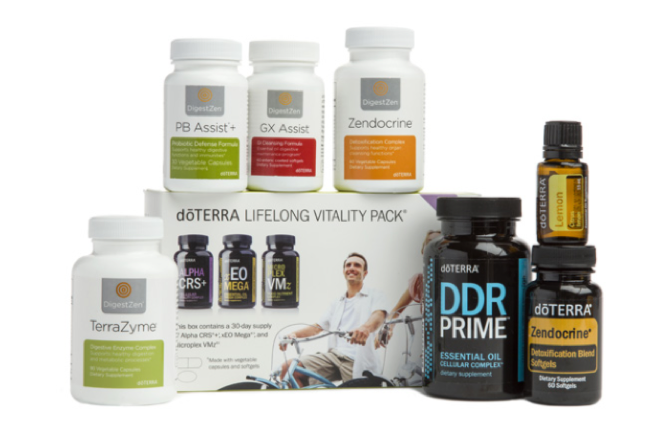 PRODUCTS: doTERRA Lifelong Vitality Pack®, Zendocrine® Softgels, Zendocrine Complex, DigestZen TerraZyme®, GX Assist®, PB Assist®+, DDR Prime® Softgels, Lemon essential oil. This is doTERRA’s answer to minimizing toxic load comes in the form of a 30-day renewing cleanse. It consists of a series of innovative products that work with your inherent cleansing processes, when combined with a healthy diet, the renewing cleanse works to maximize the health and efficiency of your vital cleansing organs so that you can minimize toxic load naturally and maintain the results long-term.